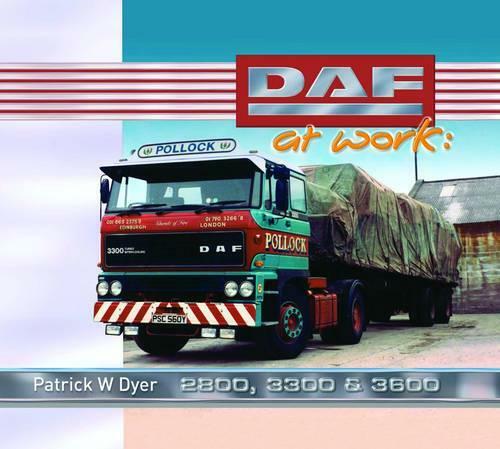 Following the success of his previous book, "Scania at Work", Patrick Dyer takes a close look at another favourite of long haul drivers, DAF. Although now owned by the American company, PACCAR, and with links to Leyland, the roots of DAF trucks are firmly in Eindhoven, Holland. The company started truck manufacture relatively late, but in the early 1970s it took an industry lead with its flagship 2800. The 'Supercontinental' version, with its wide tilt sleeper cab with two full-size bunks and its powerful 11.6-litre DAF engine was a natural for long-haul work. The successor 3300 and 3600 models took the company into the 1980s, running alongside Scania and Volvo as a long-distance driver's favourite. The 330 hp engine suited it for the heavy-duty special transport that became a feature of the period. Patrick W Dyer, author of two books for Old Pond - "Scania at Work" and "Know Your Trucks" - works in the automotive industry and is based in Essex. His new book is rich in photographs from the 1970s and '80s.